Hey, everybody! Today’s post is a tutorial post. I have ‘resolved’ to make more tutorials in 2017, so it’s time to get started! 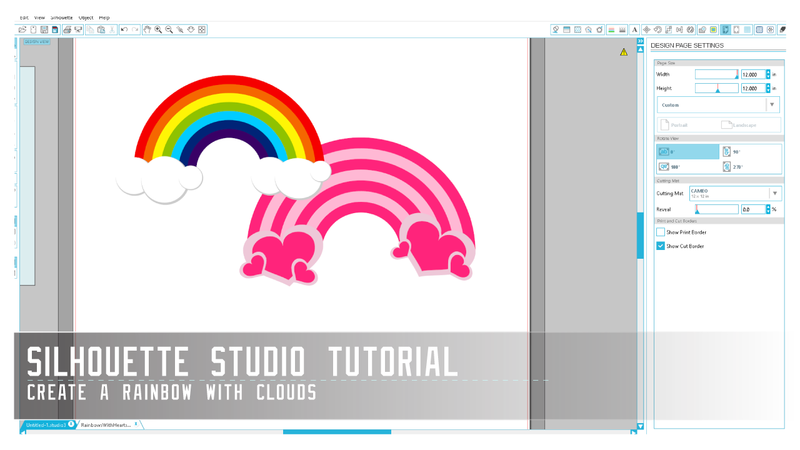 This tutorial will walk you through creating a rainbow with clouds from start to finish and in the process show you some important techniques in Silhouette Studio. I plan to release both the Roy G. Biv rainbow and the hearts rainbow in a freebie this week. Thanks so much for learning with me, everyone! SilhouetteCameoFreebies.com is not ready for launch. This comment is for testing purposes.